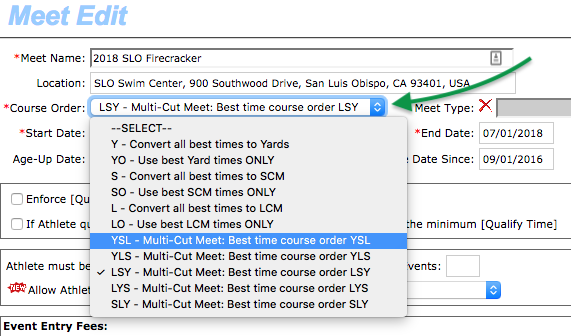 If your event file is set as SCM, for instance, and in fact it's SCY you need to do the following. Click Edit in the Event Declaration Setting. Click the Course Order dropdown to update your selection. 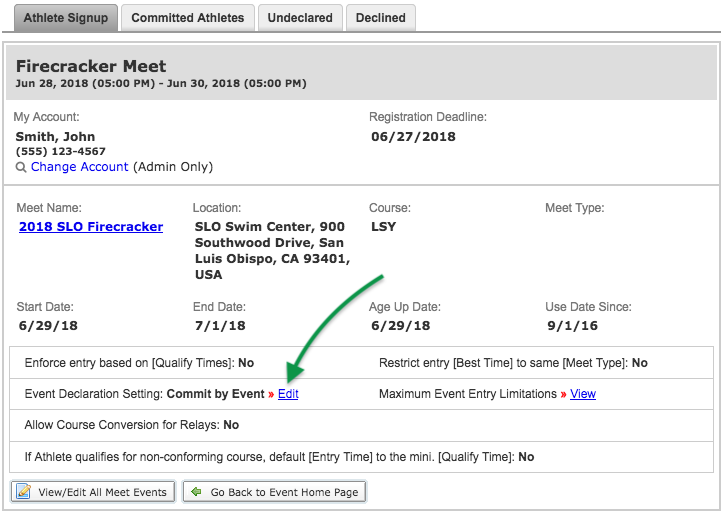 If athletes were already in events you will need to click Update Times on the Committed Athletes tab to pull in seed times based on the new course type. You may also need to update your relay teams if there are any. If this is a TouchPad meet, click TouchPad Sync to sync the updated seed times to TouchPad.